This post is part two of a three part series exploring the politics of the Mass Effect universe as created by Bioware. Each post seeks to explore some of the political and cultural dynamics of the series through the lens of real world politics and ethics. Comments are appreciated. You can find part 1 here and part 3 here. Warning: These posts include minor spoilers for Mass Effect and Mass Effect 2. For many years, the genre of science fiction has provided a venue for exploring and reimagining real world politics. The dangers of scientific discovery has populated the works of the genre since its inception, and carries on into today. Like the quarians who developed the rebellious robotic race, the salarians in the Mass Effect universe wrestle with the outcomes of their scientific endeavors. From the real world into the fictional realm and back again, the politics and ethics of scientific advancement raise fascinating moral dilemmas. Salarians are an interesting species. They have a relatively short life span, roughly 40 years. As if to accommodate for this short amount of time, they think and act quickly, approaching emotion critically and quickly. Handling an ethical dilemma is, by consequence, an exercise in rapidly weighing the tangible pros and cons. One such dilemma arises in which Shepard must make a moral choice. 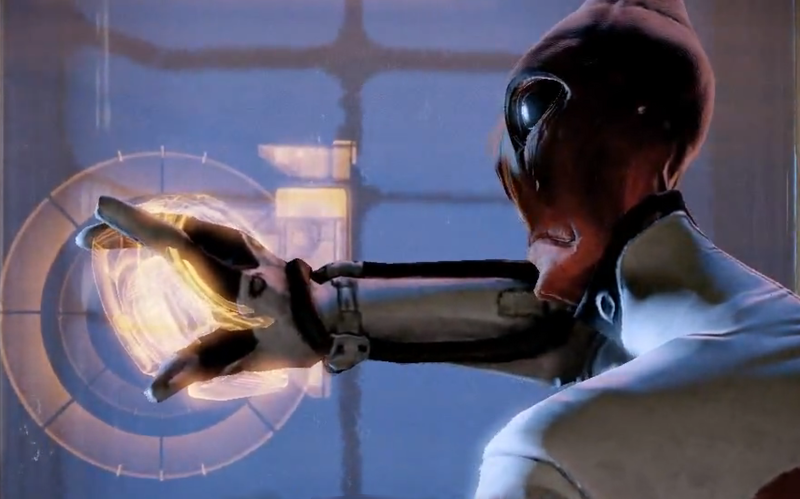 During the loyalty quest for Mordin Solus, Shepard's crew member and "the very model of a scientist salarian," encounters an old compatriot of his, Maelon, working with a clan of Krogan to cure the genophage. Maelon has kidnapped and tortured numerous individuals, conducting brutal experiments to collect his data. Their mutilated remains are found throughout the facility. There is no doubt that what he is doing in the name of science is wrong and unethical. The dilemma lies in what to do with Maelon's data once he has been stopped. Is it unethical to keep and use information that has been attained unethically? This is not a completely fictional hypothetical situation. This question has surfaced before and is deeply related to how we view scientific discovery in relation to real world conduct. Most notably, this ethical dilemma arose concerning the use of Nazi research. During World War II, numerous medical experiments were conducted on prisoners held in German concentration camps. These brutal tests were forced upon the captives and often lead to death and disfigurement. The public reaction to these experiments led to the Nuremberg code of research ethics for human subjects which forms the foundation for most of our medical code of conduct today. Even the term "data" is politically loaded, for some the word sterilizes the monstrous acts committed by the Nazi regime. Using the information collected is even more politically charged. There are fears it would legitimize the experiments in some way, indirectly honor the Nazi scientists, or morally taint the resulting data. There are also concerns about sensitivity towards holocaust survivors and relatives. For many reasons, the Nazi data is largely useless. It went unpublished and is unreplicable today. Also, the scientists may have been shaping data to conform to Nazi ideology and the expectations of superiors, and it involved severely malnourished and distressed individuals unrepresentative of normal populations. Regardless, the dilemma is an important one. How do we, if at all, use unethically attained information while maintaining moral certainty? How should science account for political realities? These questions shape our political future in more ways than one. Salarian history is marred with the blind pursuit of scientific progress. In an effort to spread their intelligence across the galaxy, salarians uplifted the violent Krogan species with advanced technology, increasing their expansion faster than their cultural evolution could handle. Although the Krogan helped defeat one galactic threat, their high birthrate and propensity for violence resulted in war. Nearly three centuries later, salarian scientists developed the Genophage, a virus that results in only 1 in 1000 successful Krogan births. Maelon acted out of guilt for his role in perpetuating and maintaining this virus he considered a form of genocide. According to the 1948 United Nations Convention on the Prevention and Punishment of the Crime of Genocide, Maelon would be correct. The UN convention defines genocide as any act "committed to destroy, in whole or in part, a national, ethnical, racial or religious group," including forced measures "intended to prevent births within the group." Today, genocide is largely recognized as the worst possible war crime. We look back upon eugenics and our own history of forced sterilization with disgust. Interestingly, the salarians initially created the genophage as a deterrent, without knowing the Turians would use it immediately. They did not consider the political and moral implications of such a weapon. My thoughts immediately turn to J. Robert Oppenheimer, the leading physicist on the Manhattan Project who developed the first nuclear bomb. His role in the process was far removed from the realities of nuclear devastation, as if science were not inextricably tied to politics and culture. After completing the bomb, Oppenheimer spent much of his life lobbying against a nuclear arms race and encouraging science communities to organize with other disciplines to affect policy. Oppenheimer knew first hand the dangers of science in the hands of fools - a fact the salarians continue to learn in the Mass Effect universe. The altered genophage deployed by Mordin and his team was designed to maintain peace, intentionally designed to stabilise Krogan populations at a reasonable level. 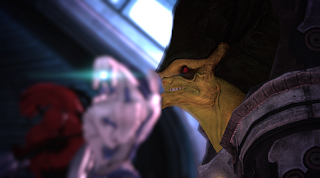 Considering themselves a doomed species, the Krogan became fatalistic, isolated, and more criminally violent. The genophage affected their culture as well as their biology. Again, a poor outcome based on the pursuit of good. According to Mordin, many believe maintaining the genophage virus is necessary. The Krogans are considered an innately violent species whose unchecked growth will inevitably lead to war. Looking back on human history, its easy to consider mankind similarly burdened. The argument about biologically ingrained tendencies towards violence is incredibly important, particularly for non-violence activists and peace theorists. If humans, or krogans in this case, are innately violent, then the prospect for peace is shadowed. How we manage conflict is inexorably altered. Despite our own violent history, there is actually plenty of evidence to say we are a generally cooperative species. There are also numerous examples of human beings overcoming basic biological desires through cultural practices. Similar cultural adaptations can be found in nature as well. The work of Biologist Robert Sapolsky's can attest to "a natural history of peace" even amongst our most violent genetic relatives. In the Mass Effect universe, the krogan show a similar potential to live as a peaceful, genophage-free species. If Urdnot Wrex was not killed in the first Mass Effect, he leads a krogan clan, implementing large cultural changes that seem contrary to krogan "nature." The krogans also have a sacred tomb called the Hollows where violence is forbidden. Their own learned cultural traits overcomes and restricts their violent behavior. Even in fictional worlds, violent culture can be tempered. The hope for non-violent means to end violence, the possibility of just management of the krogan dilemma, is why Mordin feels a sense of guilt despite his rational belief in the genophage strategy. It is the same hope that fuels those activists and political scientists seeking to manage conflict without relying on coercion and violence. 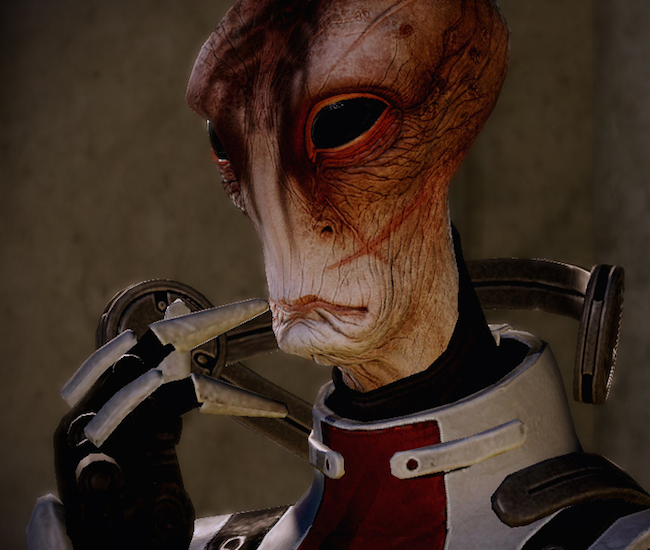 The decisions the salarians face in Mass Effect mirror our own real world ethical dilemmas. The fictional universe portrays the difficult decisions that arise at the intersection of science, politics, and culture. These moral questions have no easy answers, yet Bioware asks players to think about and resolve them anyway. These are issues on which games seldom tread with such brazen assurance and it deserves our attention. Thanks again for reading. Come back next week for part 3 on intergalactic culture, cooperation, and cosmopolitanism. Hey sort of fun, although my ethics tend to be more focused on utilitarian pragmatism than deontological questions about whether something is 'right' or not (ie, why should we care whether this 'honors' the Nazi scientists, if it saves lives). Anyways a thought Jorge, at some point read CJ Cherryh's Cyteen, for a really good sci fi novel that while totally different also portrays the ethical and other difficulties involved with the intersection of science, politics, and culture. Never thought of the Krogan as paralleling humans before. I guess you could say that humanity will always engage in war, just as Mordin justifies the genophage by citing the 100% likelihood of war if the Krogan were left alone. For what it's worth, the genophage was absolutely the right call to make, and Mordin does an excellent job of explaining it and dismissing accusations of wrongdoing. Thanks for the comment and literary suggestion. I'm always looking for more reading material to add to an ever-growing stack. I would argue pretty passionately that humans are not doomed to always engage in war. Which is why I think it is interesting to look at the Krogans, which themselves show a capability to overcome such violent tendencies. 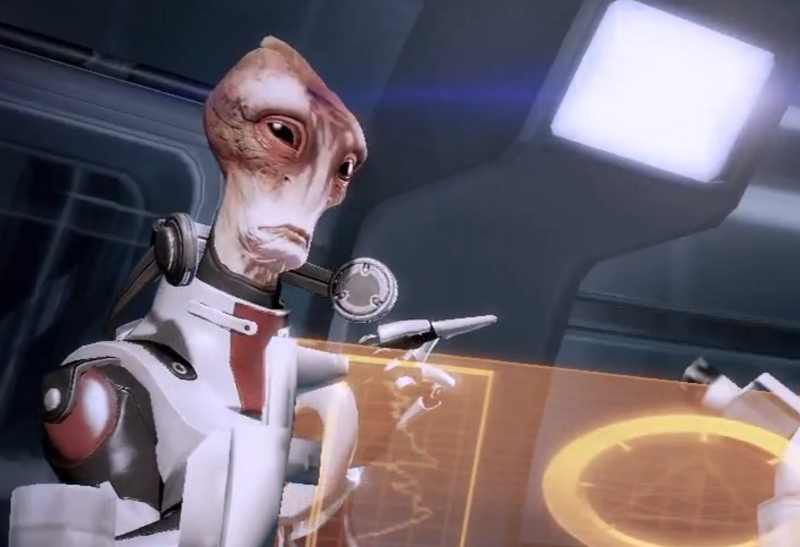 I adore Mordin as a character, who even though he believes what he did was right, still has emotional concerns. Whether or not the genophage is still the best option is more up for debate. Humans in ME universe, and in reality, have the best and worst traits of all the other species. 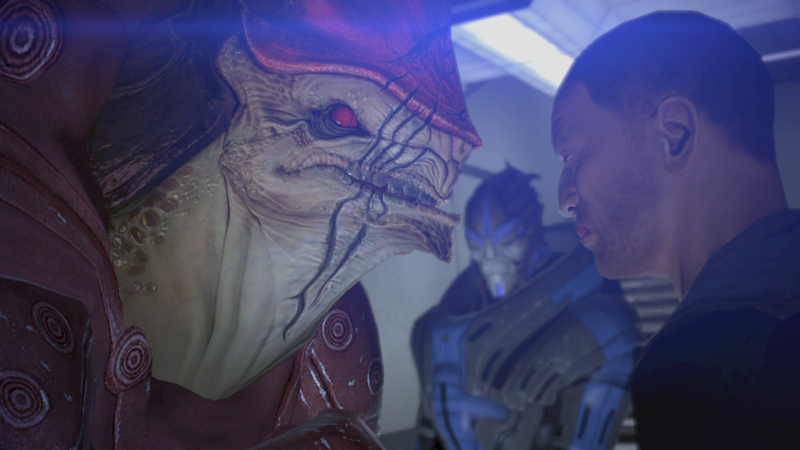 With the Krogan, we are a naturally violent race, just like them, for the proof, look at our history. Not a single culture or society, NOT ONE, has never known war. Even the nomad Indians of North America fought each other. In the history of the U.S.A., not a single GENERATION has gone without war. 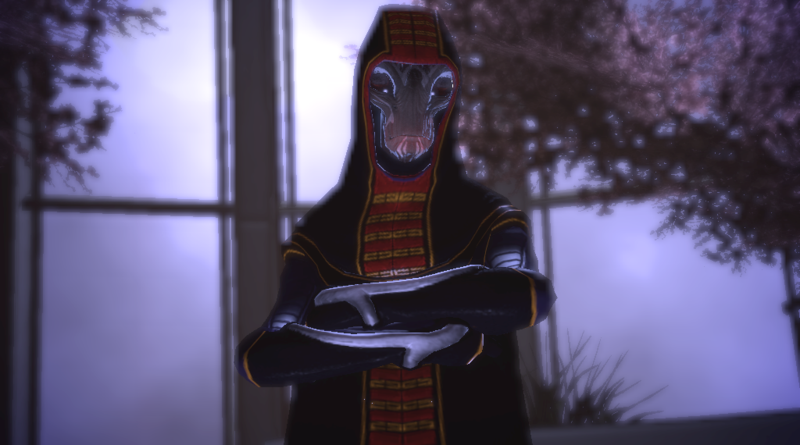 Like the Krogan, we have peace, and places of peace and desires for peace, but peace is not a natural thing for us. It is a temporary thing. For humans, lasting peace is unnatural, and dangerous, because it acts like the leaving of a fruit out to long; eventually RIPE turns to ROTTEN. Thanks for stopping by and giving the series a read, regardless of when you caught it. Regarding your point about the inherent violence of human beings, I would emphatically disagree. Their is actually quite a lot of evidence suggesting we are, in fact, a very peaceful species - especially pertaining to war. The vast majority of people do not act in or enjoy violence. There have been numerous forms of peace, and long lasting peace, amongst a huge array of people all throughout history. As some say, History is the study of war, but War is not the only form of history. In fact, war, for most people, is an anomaly. You are also misinformed about non-war waging cultures and societies. Part of this depends on our definition of warfare of course. Suffice it to say, large scale destructive conflict is not as universal as it may seem.